The Southerner staff learned today that it had won 12 2015 Digital Media Gold Circle Awards from the Columbia Scholastic Press Association. 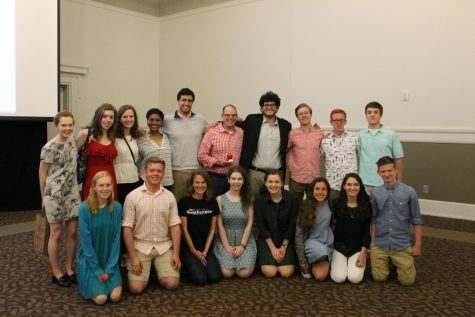 The tally included three first-place awards, one each for Josh Weinstock (on-campus personal opinion), Jennifer Steckl (photo illustration) and Quinn Mulholland (interactive graphic). Weinstock was the winner or co-winner of four of the 12 Gold Circle Awards. Senior Brandon Kleber (sports news) and junior Reilly Blum (general feature) each won second-place awards. Other winners included 2014 graduate Olivia Volkert; seniors Anna Braxton, Griffin Kish, Ben Simonds-Malamud and Margo Stockdale; and juniors Will Taft and Harrison Wilco.